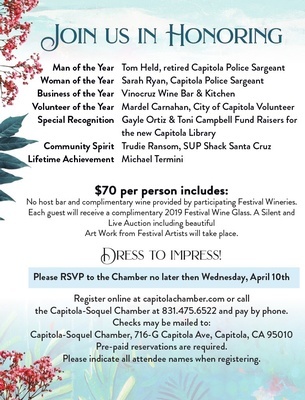 Guests will receive the commemorative 2019 Capitola Art & Wine Festival glass (the official tasting glass of the 37th annual Capitola Art & Wine Festival to be held Sept 14 & 15, 2019), and enjoy wine tasting from Festival wineries, live and silent auction featuring beautiful artwork from Festival artists, no-host bar, dinner, and awards presentation. 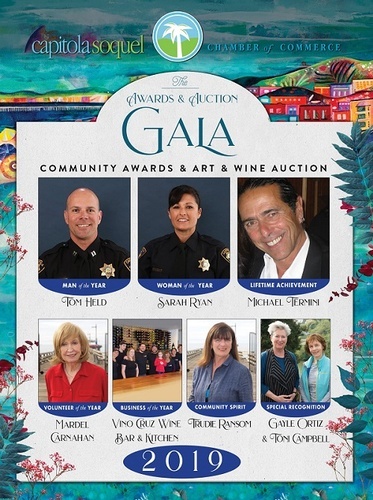 We are seeking silent and live auction items for the Capitola Art & Wine Festival Auction. All auction donors will be recognized. 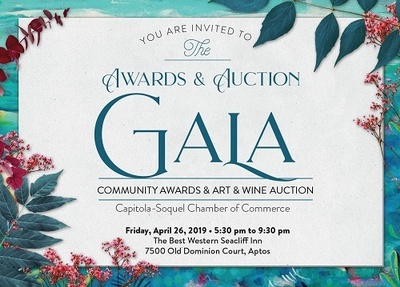 This is a fundraiser supporting the Capitola-Soquel Chamber of Commerce, as well as the local school and community groups that assist with the production of the Capitola Art & Wine Festival.